Casting our eye over to Brooklyn in the mid 80’s we find Kenny “Dope” Gonzales & his business partner Mike Delgado organising neighbourhood street parties. In attendance was Todd Terry who quickly became friends with Gonzales to the point where Gonzales lent the street party branding ‘Masters at Work’ to Terry for a production alias. 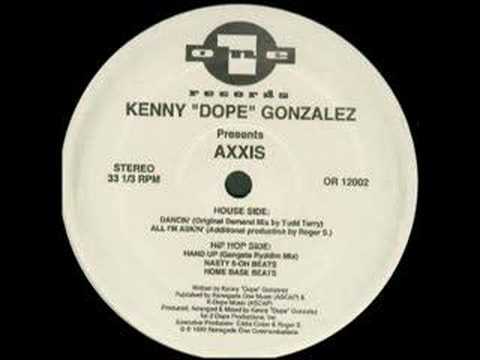 Delgado & close friend Franklyn Martinez were in the studio editing with Terry for both of his Masters at Work EPs which were released on Fourth Floor Records in 1987. It still debatable whether Martinez was involved with the Masters at Work block parties or was just close friends with Terry. As the story goes, Terry returned the favour by introducing Gonzales to Little Louie Vega. The pair took the reigns from Terry as the ‘Masters at Work’ & have been producing music together ever since; releasing over twenty albums, forty EPs and in 1995 their own record label under the same name. Power House was the duo’s first release in 1989 on Nu Groove Records, a house label run by Frank & Karen Mendez in NYC. In the same year Vega teamed up with Terry producing under the name Freestyle Orchestra. Years later Vega & Gonzales released material under the same name on their MAW label. ‘Don’t Tell Me’ uses samples from Dr. Love by First Choice & Love Sensation by Loleatta Holloway.